The Best Pancake Lens For Sony A6000 Cameras! After seeing a consistent number of people reaching out over the last few months, we have decided to publish what we feel are the best pancake lenses for Sony a6000 cameras currently available on the market right now. Unlike some of the other articles we have published where it has been relatively easy to decide what we would feature as our recommended lenses, we have had to settle on three different lenses as our a6000 pancake lens recommendations. All three of these lenses have managed to earn themselves excellent reputations within the community over the years that only show signs of getting better as time goes on. Additionally, all of three of the lenses that we have chosen to feature are all official Sony lenses meaning their build-quality, performance, functionality, and features are all pretty similar. As we work our way through our article, we will be going over the individual advantages and disadvantages of each of the lenses and offering examples on when one would be better than the other. We will also share a number of example photographs captured with each lens so you can see what kind of image quality they are able to capture for you. Click Here To Check For Prices On High-Quality, Budget Friendly Pancake Lenses For Your Sony A6000! We know that many of our readers are very busy and simply don’t have time to read a lengthy article like this so here are our recommended pancake lenses for your a6000 in a quick and easy to read table format. 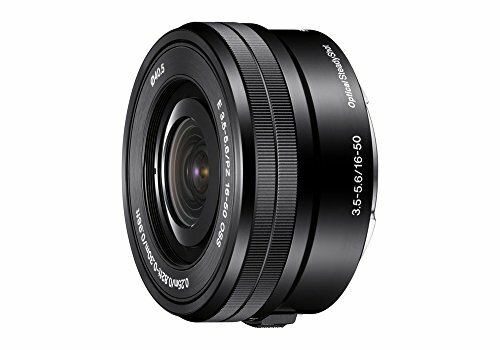 An all round excellent wide angle pancake lens for your a6000. A great variable zoom pancake lens that offers a ton of functionality. A popular lens with the community but other lenses can perform better. 0.91 x 2.44 x 2.44 Inches. 1.2 x 2.6 x 2.6 Inches. 0.79 x 2.48 x 2.48 Inches. Click Here To Read Some! In our opinion, the best pancake lens for the Sony a6000 currently available on the market is definatley the Sony 16mm f/2.8 (Click here to check for product prices and availability). It comes with the excellent Sony build quality, a ton of functionality as well as some of the best performance you will find in a pancake lens at this price point in the market. This has made the Sony 16mm f/2.8 a very popular lens within both the photography and videography communities with it earning itself an excellent reputation in a short amount of time. Many of the people who use it as their go-to lens of choice or as a key part of their camera accessories have posted independent reviews of the lens online (click here to read some of them) that you can read if you wish. They offer a great insight into how the Sony 16mm f/2.8 performs over extended periods of time as well as how people who use it on a regular basis feel about the lens. As you would expect from any decent pancake lens that is worth your time, the control system on the Sony 16mm f/2.8 is very simple and easy to use as the small size of the lens limits what Sony are able to actually put on the lens. As you can see in the photograph above of the lens, you essentially have your lens mount to attach the lens to your camera body and then your manual focus ring to tweak the focus of the lens as required. Bing a Sony lens that has been specifically designed to mount to Sony cameras, the lens mount is quick and easy to use and offers a solid and seamless attachment to your a6000. The manual focus ring is very smooth and responsive making it very easy to turn with minimal effort while also have a light resistance to it to limit the chances of you accidentally over rotating your focus. 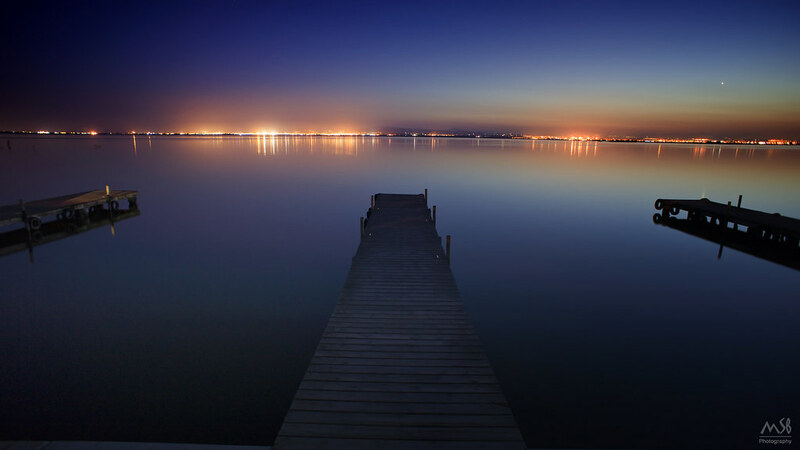 A photograph captured using the Sony 16mm f/2.8 that shows both its wide-angle landscape photography potential as well as the image quality it provides in variable lighting conditions. The Sony 16mm f/2.8 really does shine when it comes to landscape photographs, especially when you factor in how cheap it is compared to some of the other popular landscape lenses on the market right now. Being a prime lens based around the 16mm focal length it is perfect for all wide angle photography niches ensuring that you capture your photograph of video footage with excellent image quality. Being a very small and lightweight pancake lens it can make the perfect travel companion for your Sony a6000 as you can quickly and easily add it to your luggage without having to take up much space or weight. It also packs a ton of functionality for such a small lens and that’s one of the main reasons that we feel it has proven to be such a hit within the community. The f/2.8 aperture on the lens also offers some great low light wide-angle image quality too as shown in the photograph below that was captured using the Sony 16mm f/2.8. Although there are definitely better lenses for astrophotography available on the market for your Sony a6000, if you are in a pinch or are wanting a more general use lens then the Sony 16mm f/2.8 ca also help produce some excellent astrophotography photographs too. 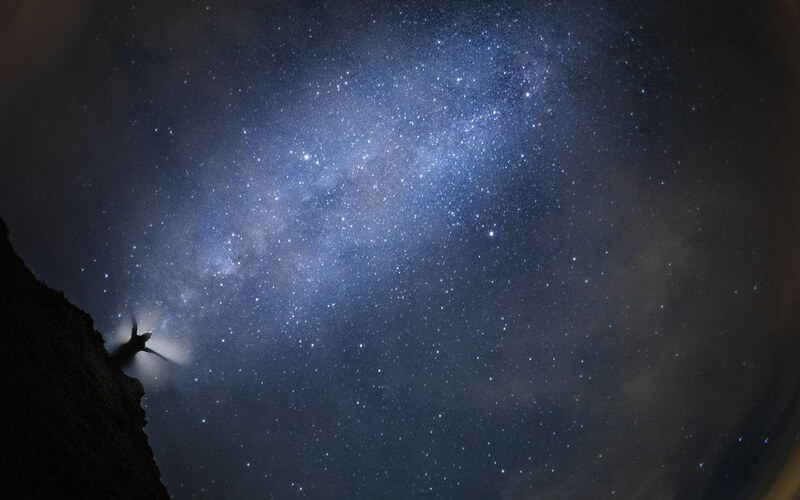 The photograph blow was captured using the Sony 16mm f/2.8 and shows just how effective it can be when it comes to photographing the night sky. Click Here To Check For Prices On The Sony 16mm f/2.8! A Sony 16mm f/2.8 stripped down for basic lens servicing and cleaning. As we touched on earlier in the article, due to being a pancake lens, Sony really were limited in what they can include in the lens due to its small size. As shown in the image above, this works to your advantage when it comes to cleaning or servicing your lens as it is an extremely easy lens to strip down. That said, we would not recommend that you do this if you are not confident in your abilities to do so and successfully put the lens back together again. Many people choose to simply use an air blower to try and clean their lenses or have them professionally cleaned in photography stores, both work well and are valid options. As you would expect from a Sony lens, the build quality and design of the Sony 16mm f/2.8 really is excellent with the lens being very robust considering its size. As it is a small lens it is naturally lightweight when compared to the bulky lenses on the market but Sony has taken this a step further by trying to only use materials that are as lightweight as possible in its construction. We commented on how smooth and easy to use the manual focus ring on the lens is earlier but we feel Sony really have knocked it out of the park. Even at this price point, you can find some other lenses whos manual focus ring is a nightmare to use but the Sony 16mm f/2.8 is smooth, responsive, and easy to use to let you quickly get the levels of focus that you want. The photograph above shows the Sony E-mount lens mount on the Sony 16mm f/2.8, thankfully, Sony has not skimped on the materials on the lens mount using a strong and robust metal alloy. This ensures that it will hold its shape over time allowing you to always easily mount or unmount the lens from your a6000 without issue. Some brands choose to use poor quality alloys or even plastic for their lens mounts and as time goes by, they warp in shape and become a nightmare to use. Question – What size lens filter does the Sony 16mm f/2.8 take? Answer – It comes with a 49mm lens filter thread and we would highly recommend the Gobe 49mm filter range (Click here to check for product prices and availability) for all your lens filter needs. Question – Is the Sony 16mm f/2.8 an E Mount lens and does it fit the Sony a6000? Answer – Yes, the lens will natively mount directly to your Sony a6000 without issue and does not need an adaptor or converter to mount. Question – Can you mount attachments to the Sony 16mm f/2.8? Answer – Yes, there are various third-party fisheye and wide angle converters available that will fit the lens if you need them. The Sony 16mm f/2.8 really is an excellent pancake lens that outperforms the majority of other competing lenses, especially at this price point in the market. It is perfect for all types of wide angle photography and will make an excellent addition to your camera accessories for your Sony a6000. The video below offers an additional third-party, independent review for the Sony SEL16F28 16mm f/2.8 to offer our readers an independent opinion of the product. Next up on our list of featured pancake lenses that are suitable for your Sony a6000 is the Sony 16-50mm (Click here to check for product prices and availability). Now, this is available as a kit lens with the a6000 in some locations so you may already have it. Due to being available as a kit lens, there are a large number of people out there who are using it and this has resulted in a number of reviews being posted online (click here to read some of them). As those reviews have been posted by independent third-party photographers and videographers who own the Sony 16-50mm and use it as one of their main lenses, they offer an excellent insight into what we consider to be the second best pancake lens for Sony a6000 cameras. Similar to the 16mm lens covered first in our article, the Sony 16-50mm is very simple to use with a very easy to use control system. As you can see in the photograph above, the Sony 16-50mm has the same solid and robust lens mount to allow you to quickly and easily mount the lens onto your a6000 when required. The lens also has a nice smooth and responsive manual focus ring too but as the Sony 16-50mm is not a prime lens and comes with zoom functionality, it also has its manual zoom ring too. In our opinion, this location of the manual zoom ring is the only negative point on the lens and even then it is not a major problem. As you can see in the photograph above, both the manual zoom and manual focus rings are very close to each other with the exact same texture too. This can make it a little difficult to ensure that you are turning the correct ring when required. Now, we are fully aware that space is at a premium on a pancake lens but we feel even just changing the grooving on the manual zoom ring could have helped to ensure users were able to easily confirm they were about to rotate the correct ring. As you can see, it is a pretty versatile entry level lens that can perform very well in a number of situations. That said, another weakness of the lens is its low light performance as its f/3.5-5.6 aperture can sometimes struggle a little in low light or variable light conditions depending on the zoom level you have the lens operating at. 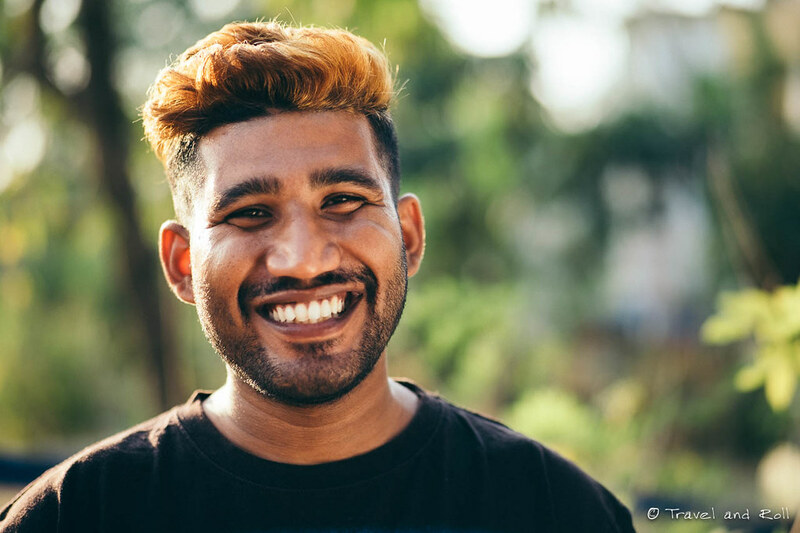 The photograph below was also captured using the Sony 16-50mm at its higher zoom ranges showing the type of image quality that you can expect from the lens when using it for portrait photography. Overall though, the image quality that the Sony 16-50mm provides is solid making it an ideal pancake lens for your Sony a6000 if you need a general purpose lens rather than a specialist lens. If you are looking for a pancake lens to specialize in wide-angle photography though, the Sony 16mm f/2.8 (Click here to check for product prices and availability) covered first in our article will blow this out of the water. It provides a better depth of field while also providing you with much better low light performance. Again, being an official Sony pancake lens, the build quality of the Sony 16-50mm is excellent and it will serve your a6000 well for many years to come. Both the manual focus and manual zoom rings are very easy to rotate to tweak the performance of the lens to your current situation. We just wish that Sony had taken the time to change the texture on either of the rings to help differentiate them better. The materials in the lens are robust and lightweight too helping you easily store it in your camera accessories bag when not in use. The high-quality Japanese glass used for the lens elements stands the test of time very well as it has been designed to be as robust and scratch resistant as possible while providing the best possible image quality. Just like the 16mm lens covered above, the actual Sony E-mount connector on the lens is made from a very strong metal alloy that ensures it will hold its shape over the years to come and not warp and cause you problems. Question – What lens filter thread size does the Sony 16-50mm take? Answer – The lens has a 40.5mm filter thread and we would recommend the 40.5mm Gobe filter range (Click here to check for product prices and availability) for all your lens filter needs. Question – Does the Sony SELP1650 16-50mm require an adaptor or convert to mount the a6000? Answer – No, the lens will mount directly to your a6000 camera body. Question – Is there a way to improve the low light performance of the Sony SELP1650 16-50mm? Answer – As this is a general purpose pancake lens, the best you can do is use it at its lower zoom levels and lowest aperture settings for better low light performance. Overall, the Sony SELP1650 16-50mm is a solid general-purpose pancake lens that can be used in a large number of different situations. Depending on what you are planning on doing with your Sony a6000, this could be an excellent little lens to pick up as it can perform well from wide-angle photography all the way up to portrait photography. The video below offers an additional third-party, independent review for the Sony SELP1650 16-50mm to offer our readers an independent opinion of the product. The final lens that we have chosen to feature on our list and what we feel is the third best pancake lens for Sony a6000 cameras on the market right now is the Sony 20mm F2.8 (Click here to check for product prices and availability). In all fairness, we will breeze over this lens as it is very similar to the 16mm lens that we covered first in our article. 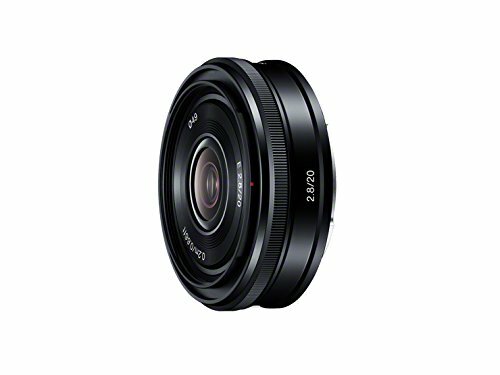 That said, the Sony 20mm F2.8 has managed to carve out an established following of photographers and videographers who have chosen to add it as part of their camera accessories. A number of these have chosen to post their own independent reviews (click here to read some of them) of the lens that you can check out if you have the free time available to get an external insight into the performance of the lens. The control system of the Sony 20mm F2.8 pancake lens is pretty much identical to the 16mm variant covered first. It is also a prime lens so has no need for a manual zoom ring but the manual focus ring is essentially the same as the rings used on the other lenses that we have covered and it performs just as well. The lens mount on the lens is also made from the same metal alloy ensuring that it will easily stand the test of time without warping in shape during use. The photograph above was captured using the Sony 20mm F2.8 prime lens and as you can see, it does a pretty decent job in all honesty. In our opinion, the 20mm focal length is in a bit of a strange place as it is not as wide as the 16mm lens kind of making it a more expensive, less effective pancake lens in our opinion. That said, depending on what you are needing to capture with your a6000 the 20mm focal length may be better for your circumstances. The f/2.8 aperture on the lens does a decent job of providing great image quality in both low light and variable lighting making it a pretty versatile lens suitable for use in a number of common situations. Again, being a pancake lens, it is very small and lightweight making it easy to pack with you when you are traveling between your photography locations. Again, as it is an official Sony E-mount pancake lens the build quality on the Sony 20mm F2.8 is excellent. It boasts the same advantages of the other lenses that we have chosen to feature in our article providing the same advantages to you. The materials that the lens is made from are all high-quality and it has the same manual focus ring system as the 16mm lens making it very smooth to use too. Question – What lens filter thread does the Sony 20mm F2.8 have? 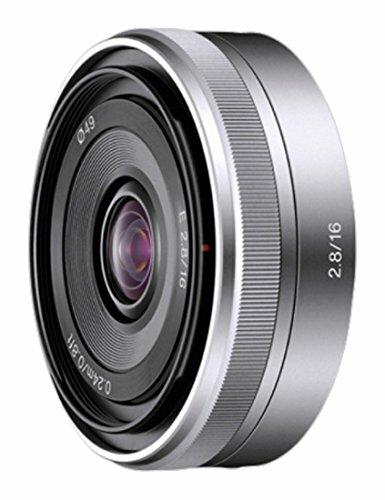 Question – Is there a need to use a lens converter or adaptor to mount the Sony 20mm F2.8 on your Sony a6000? Answer – No, the lens will natively mount directly to your a6000 camera body. Although it is a solid pancake lens, we feel that the Sony 16mm f/2.8 (Click here to check for product prices and availability) that we covered first in the article is a better choice than the Sony 20mm F2.8. Is cheaper, has a very similar image quality, the same build quality and outperforms it when it comes to wide angle photography. That said, if you are in a photography niche where the 20mm focal length is needed then the Sony 20mm F2.8 will make a good pancake lens for use with your Sony a6000 camera. The video below offers an additional third-party, independent review for the Sony SEL-20F28 E-Mount 20mm F2.8 to offer our readers an independent opinion of the product. 3 Of The Best Sony A6000 Manual Lenses On The Market! 2 Of The Sharpest Lenses For Sony A6000 Cameras On The Market! The Best Lens For Food Photography For A Sony A6000 Camera! Click Here To Read More Articles About Lenses! The Best Gimbal For Canon G7X Cameras! The Best Lens For Nikon D7100 For Portraits On The Market! A Guide on the Best Cheap Nikon Wide Angle Lens!